Hand-lettered set of eight letterpress-printed invitations with coordinating envelopes and letterpress-printed liners. A modern wreath design is the focus for these holiday party invitations. 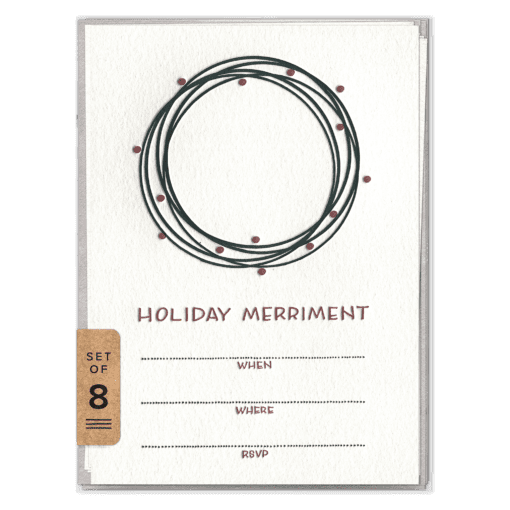 Whether hosting a Christmas cookie exchange or holiday cocktail party, these letterpress invitations will get your guests excited from the moment they go to the mailbox.